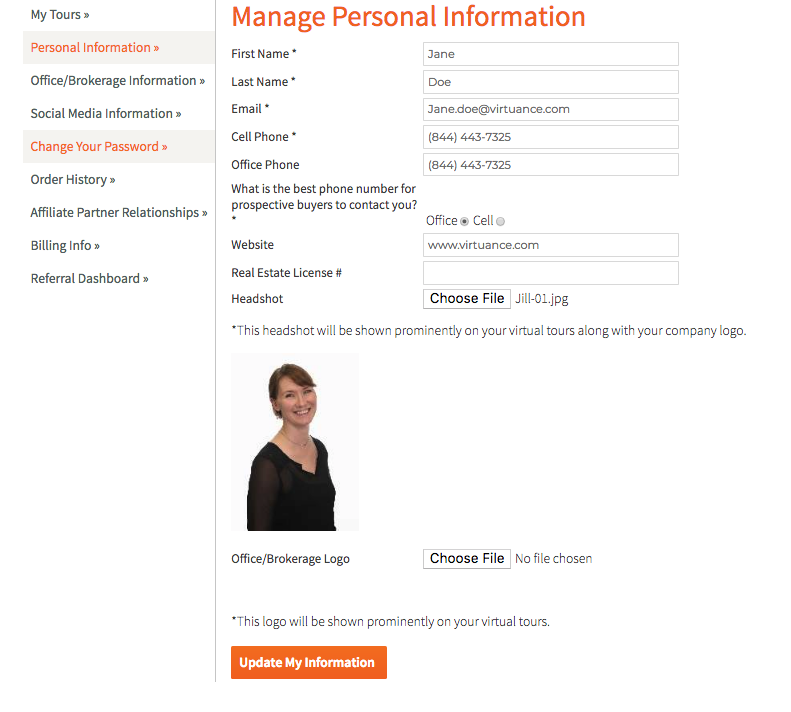 To modify your account, login to your account at www.virtuance.com and click on "My Account" in the menu. Within your account, you can modify information such as your name, email address, assistant information, logo, headshot and even update your billing. Once any changes have been made and saved, they will also be updated on your live Virtual Tours as well!